Giving an impressive wide-angle field of view along with bright performance, the Canon EF-mount Distagon T* 25mm f/2 ZE from ZEISS is a flexible prime well-suited for a range of subjects, from landscapes to architectural shooting. The lens uses a Distagon optical concept, which helps to reduce field curvature and distortion for high overall sharpness and accurate rendering across the frame. One aspherical element and four anomalous partial dispersion elements are featured, too, which help to suppress distortion and color fringing in order to promote more accurate rendering. A T* anti-reflective coating has been applied to individual elements to control lens flare and ghosting. Additionally, further contributing to high sharpness and clarity, a floating elements system is used to achieve consistent, well-controlled image quality throughout the focusing range. Wide-angle prime is designed for full-frame format Canon EF-mount cameras, however can also be used with APS-C-format cameras where it will provide a 40mm equivalent focal length. Bright f/2 maximum aperture suits working in low-light conditions and also offers increased control over depth of field for working with selective focus techniques. Distagon optical design affords high sharpness, well-corrected image quality from edge-to-edge, and very low field curvature. One aspherical element and four elements made from anomalous partial dispersion glass are featured in the optical design, and all contribute to significantly reducing chromatic and spherical aberrations for improved clarity, sharpness, and resolution. Floating elements system helps to maintain consistent image quality throughout the entire focusing range, from 9.8" to infinity. Manual focus design is benefitted by engraved focus distance and depth of field scales. Box Dimensions (LxWxH) 7.7 x 4.4 x 4.4"
Distagon T* 25mm f/2 ZE Lens for Canon EF is rated 4.8 out of 5 by 19. Rated 5 out of 5 by Billyboy66 from If I only knew how good these lenses were before! This was my first Zeiss and while it's my only Zeiss lens, it certainly won't be my last. If I was aware of the exceptional quality, ease of use, and magnificent photographs this lens is capable of, I would not have purchased as many Canon lenses as I did and purchased Zeiss lenses instead. This lens is unbelieveably sharp, has fantastic depth of field, and despite the manual focus, it's easy to use and you know exactly where the maximum sharpness lies. And for a wide 25mm lens, it's amazing that you can use it as a macro-lens and take close-up photographs of flowers and insections, also maintaining top-quality even though it's been designed primarely for landscape photography. This lens is a winner and it leaves me wondering which one should I get next? Rated 5 out of 5 by joep from So nice I do not own it for a long time yet, but I do hope to own it for a long time frome here. The sharpness and colours are just amazing. And adjusting sharpness is so smooth. It is a real joy using Zeiss lenses. Glad I did order before black friday wich did save me $ 900,- O yeh, the lenscap, not the best but this is already known for years. I did order a replacement with the lens not having to use the original one. So, dont get frustrated over the lenscap!!! Rated 5 out of 5 by Enormus from Fantastic Lens I love this lens. It's my favorite focal length and it's manual focus. It produces stunning images with great color, contrast and sharpness. I don't care for auto focus so this was the only alternative for me. It reminds of the days I used to run around with my Nikon FM shooting with the venerable 24 f2.8. It makes you think about your composition and about depth of field. If you want AF, buy an Af lens. Rated 5 out of 5 by Michael from Another Outstanding Zeiss Lens Another outstanding Zeiss lens in my lens collection. This is my sixth Zeiss lens and I continue to be delighted with the quality and character that each lens brings to my photos and video. I use them on a Canon DSLR and a Sony NEX FS100 (using a metabones adapter). Other Zeiss lens I own include the 135mm f/2.0, 100mm f/2.0, 50mm f/2.0, 35mm f/2.0 and 21mm f/2.8. Each of these lenses brings something special to the image and I could not be happier with my results. Rated 5 out of 5 by Jessica from Ridiculously Awesome This is my second Zeiss lens & it is everything that I was hoping it would be. Much like my other Zeiss (50mm), it is SHARP, has beautiful tones, & is all around just amazing. It is fantastic for astrophotography. When I took my first nighttime shots with it, I couldn’t stop smiling. Compared to my canon 16-35mm, which is a good lens, this Zeiss is so much better! This lens is also wonderful for landscapes & architecture. It is a very well built lens & I can’t say enough good things about it! On the fence? Don’t be. Just buy it already! Rated 5 out of 5 by George from Outstanding This is my default lens to take on a nighttime shoot. Focusing is easy and it doesn't wander. Build quality is superb, so this will be a lifetime lens. Wide-open vignetting is there, but as previously noted, that is easy to correct in post processing. Reasonably compact, unlike the Zeiss 21mm and 15mm which I also own. Rated 5 out of 5 by Erik the Red from My first Zeiss. I'm loving it. Alright, I gave this a 5 star rating really I wanted to give it 4.5 stars. This is my first Zeiss lens, I bought this and sold my 24-105 Canon lens. I shoot landscape photography and wanted to get a prime. 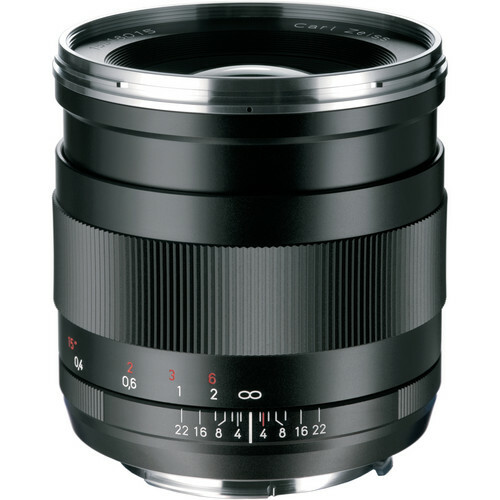 After doing some research I choose this new lens from Zeiss. I chose this because I am very familiar with 24mm focal length. There were very few reviews on the internet about this lens at the time but reading many things on Zeiss it was bound to please. After receiving it I went to Balboa Park in San Diego to test it out, and I went photo crazy. I read about the light falloff at the corners at f/2 so first thing I did was shoot many pictures at that aperture. Most of my photos could easily show the light fallout and it's pretty heavy on my full frame 5D mk ii. I use heavy instead of bad because in most situations shooting flowers and the gardens there, it wasn't distracting. Combined with the bokeh it made some pictures look very interesting. The bokeh is buttery smooth at f/2 and with the minimum focus distance on this being so close(6.7)inches, makes getting a shallow depth of field even easier. My canon had auto focus like all my other lenses. Zeiss only makes manual focus lens. I've used my canon lens on manual many times and I'm very confident in my ability to manual focus, but to have only manual focus? I was skeptical. Again reading about Zeiss having arguably the best manual focus and me using this primarily for landscapes I went for it. This like the bokeh is buttery smooth. The focus ring has a long smooth feel and I feel like I'm a surgeon when it comes to focusing this lens. I find my self playing with the focus ring when I'm walking around with it. It is just that amazing. The image quality with this lens is superb. The colors are incredible, the contrast is very good, and it is very sharp. As you will see in my pictures below. At 5.6 it is sharp like a knife. and the light falloff is not an issue. The chromatic aberration is gone. This lens handles chromatic aberration so well, it's virtually gone. My pictures well show how sharp this lens is and the chromatic aberration on high contrast edges. The build quality of this thing is insane, it's all metal. Feels like a tank that will last a thousand years. This is not your typical mass produced plastic dslr lens. This is a lens built to an artisan like quality, and Leica lenses are supposedly an even better build quality! It's hard to imagine something better than this type of build quality! So my conclusion to this lens is if you are willing to spend the money get it. My suggestion to people is save up and get a excellent quality lens. The lens just feels right when you hold and shoot it. After getting this lens I don't think I'll be getting a wide angle L series again. The negatives of this lens would be the light falloff at f/2(Can be fixed in photoshop/lightroom easily)I even like the vignetting when combined with the bokeh, it makes for an interesting look sometimes. People have said this lens isn't weather sealed, I'm not testing that out, but I did email Zeiss about that and got this response All these lenses are not specially sealed. They can stand a little shower or something like that. But in heavy rain you should protect them like the rest of your equipment.-Zeiss. For having a phenomenal build quality I wish it was weather sealed. It's just nice to walk/hike around not worrying about your lens being ruined from rain, but that's a minor detail from the big picture(pun intended). The sample shots are that same picture one uncropped and the other cropped to show the detail. These images are unedited from my 5D mk II shot a f5.6 1/90 and an iso of 1600. Rated 5 out of 5 by Paul from I Love Zeiss Lenses! I recently moved from camcorders into DSLR photography/videography with a Canon 5D Mk III. I bought the 24-105mm kit lens and a Zeiss 50mm f/1.4. Well, the Canon lens stayed in the bag most of the time because of the outstanding image quality and incredible feel of the Zeiss lens. These things are beautifully built. I recently added this Zeiss 25mm f/2.0 to have the same sharp image, wonderful color rendition and beautiful bokeh I got with my Zeiss 50mm. I was NOT disappointed! I know these lenses are expensive and yeah, autofocus is nice, but it's oh, so worth it! I plan to own these lenses for the rest of my life and hope to add to my collection in the future. The only downside I would mention is the lens cap. I find it very difficult to grasp. I actually bought Nikon lens caps for my other lenses then I got the bright idea of cutting a small piece of 3M Outdoor Tread tape I had lying around and sticking it on the lens cap grips. This tape is like rough sandpaper on one side and the sticky side attaches well to the plastic cap - this solution worked great for me. No. There is no manual aperture control. It is like Canon EF mount lenses in that regard. 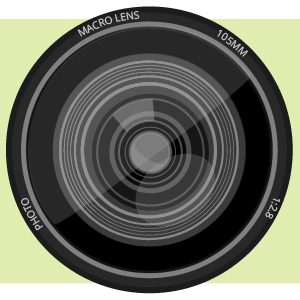 Unlike other Canon EF lenses, however, it CANNOT be automatically focused.